The 1980s was a decade when pop and politics were mixed like no other, certainly here in the UK. The threat of a nuclear holocaust, the miners’ strike, the struggle for democracy in South Africa, homophobia, the efforts to bring an end to the Iron Curtain, famine in Africa, the worries around the growth of a fascist state in the UK, the ever-increasing gaps in living standards between those who had and those who hadn’t, the Falklands War, the UK riots and the ‘greed is best’ ethos were common subject matters in pop music during the Thatcher-era which began and ended just either side of the 80s. There’s loads of great and memorable songs from that era, none more so than Nelson Mandela which helped take a decades-old campaign to places it hadn’t been before or Ghost Town which perfectly captured the grim despair that many parts of the UK felt as the full effects of laissez-faire capitalism took a firm grip. Johnny Marr himself contributed guitar to this particular recording and in doing so, combined with Kirsty’s tremendous vocal delivery, has made this a rare instance of when the fresh take was better than the original. 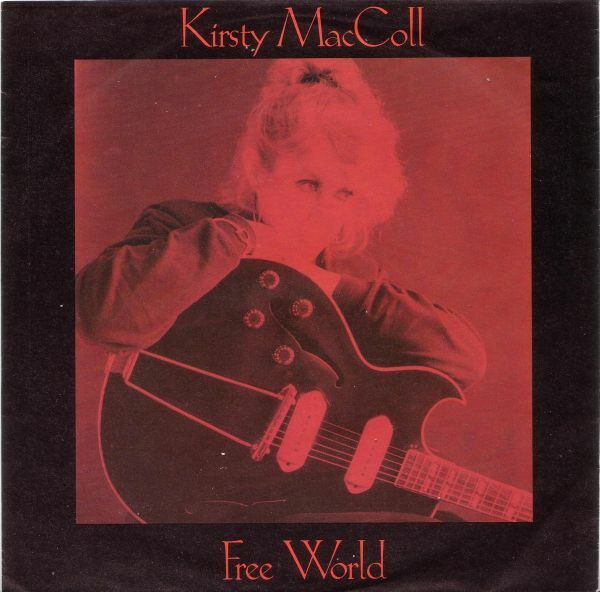 mp3 : Kirsty MacColl – Closer to God? I really wish the record bosses had made this a double-A side of Free World and You Just Haven’t Earned It Yet Baby for I’m certain there would have been more airplay and sales. And who knows, there might even have been a wonderful post-Smiths appearance for Johnny on Top of the Pops. Roddy Frame was born in January 1964. Before he was able to be legally served in the pubs of his hometown of East Kilbride, he had written, recorded and released two astonishingly good singles on Postcard Records. It’s hard to imagine how stressful it must have been for Roddy, given his incredibly young age, to deal with the strains and anxieties at the demise of his record label. His move to Rough Trade brought a debut LP and three further outstanding but flop singles in Pillar To Post, Oblivious and Walk Out To Winter. Where he should have been all over the charts and filling the top venues across the country, he seemed doomed to indie cult-status and a continued circuit of student unions. The threat of moving to a major spurred on Rough Trade as a second release of Oblivious finally got the boy wonder onto Top of The Pops in late 1983 by which time he was a veteran at 19 years of age. Before his 20th birthday, he signed with a major label…..and while he would go on to write, record and release some wonderfully crafted songs over the next thirty years, there’s just something that says he never quite captured the magic of those Postcard Records. It’s worth pointing out that the two b-sides were later re-recorded for inclusion on High Land, Hard Rain the debut LP on Rough Trade but that the a-sides were untouched and have become reasonably sought after among fans and collectors of all things Postcard. 31 LONG HOT SUMMERS AGO…..SIGH! This incredible weather we’ve had in the UK this past month took me back to the release of these songs. 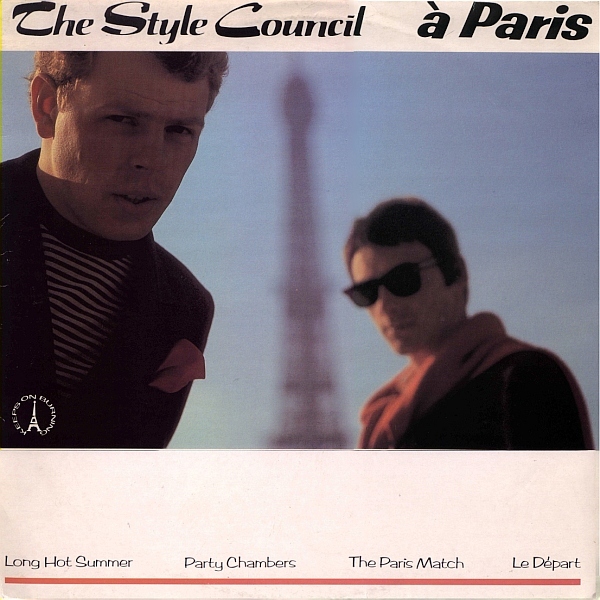 Paul Weller’s decision to break up The Jam was totally vindicated with the success of this EP. Released in August 1983 in the middle of an extended heatwave, it hitting #3 in the UK charts meant it became the backdrop to what, looking back, was the most ridiculously carefree and easy time as I moved out of the family home and into my first student flat at the age of 20. There were three of us sharing digs. Two of us had a blast as we had passed all our exams. Long walks around the open spaces of Glasgow with camera in hand, we were the most pretentious folk you could dread bumping into but at the time we were oblivious to it all. Chatting away loudly and super-confidently about our favourite bands, books, TV programmes and who really was the most attractive female on campus meant the days flew in. The third flatmate was miserable as he had to pass two re-sits before he would be allowed to continue with his course – the Long Hot Summer of 1983 really did pass him by. This was also the time when I underwent a huge musical education as one of the flatmates, being a bit richer than anyone I had known up to this point in my life, had a record collection that would have been the envy of everyone but John Peel. For the next 12 months I would immerse myself in all his old and current records buying not all that much myself but building up the most enormous collection of cassettes…..the problem of course came 12 months later when as flatmates we went our separate ways…..panic buying was the only solution for me! Thirty one years on and I look back lovingly at my student summers….it’s a huge contrast to nowadays with so many young folk now having to find seasonal work to help pay off the debts being run up and of course worrying about what sort of job they’re going to eventually graduate into. It’s frightening to think that the UK has best educated and over-qualified retail assistants in civilisation. Long Hot Summer is a timeless classic. I will have no dissenting voices on that……and isn’t it incredible just how similar in looks the cyclist Bradley Wiggins is to the sunglasses wearing Paul Weller of 1983?? FINALLY….SOMETHING THAT WASN’T ON THE OLD BLOG! With apologies that it has taken five posts to have some entirely new material not ripped off from TVV. This trio of tracks by Everything But The Girl from 1985 have a Sunday morning sort of feel to them. 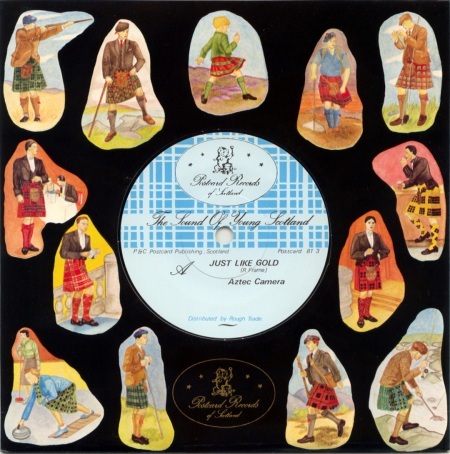 The single is the closing track from the Love Not Money LP and the follow-up to what were two outstanding but flop 45s – Native Land and When All’s Well. Unsurprisingly for a song that doesn’t have a chorus to speak of and whose main narrative has a child begging outside a church at Christmas time it didn’t get a great deal of radio play and inevitably it failed to crack the Top 75. Released at a time when many left-leaning pop stars were venting their anger about various government policies via their songs, the sentiment behind making it a single are noble but it was sadly always doomed to failure. 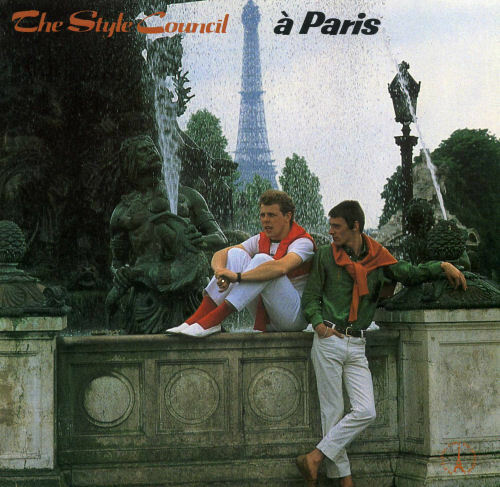 The former is so tinged with the sound of sad country that it sounds like a Pasty Cline cover while the latter is a wonderful reminder of their version of The Paris Match that appeared on the debut album of The Style Council. They really are two superb songs that are over all too quickly with a combined running time of three and half minutes. 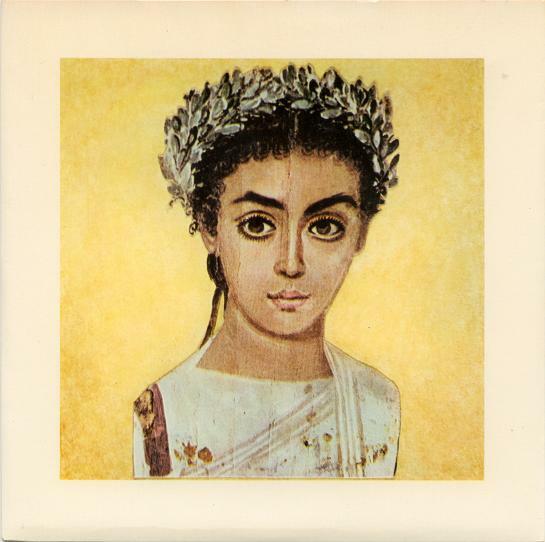 I mentioned yesterday that the one of the hopes in starting the blog was to give folks the opportunity to listen to some cracking b-sides that were difficult to find in a digital format. That and to offer up some unusual cover versions as that’s a genre I’m a bit of a sucker for. Today’s posting is another that draws on the September/October 2006 TVV archives, offering said b-sides and covers as well as being what was asked for by a couple of folk who left behind comments as this is a place where the public gets what the public wants…..
As I said all those years ago, an awful lot of bands (and singer/songwriters) are fond of recording songs made famous by other people. Most of the times, there is a distinct failure to improve on the original version, or even more sadly, the cover version is pretty much indistinguishable from the original version. Of course, it’s all subjective. You could be a huge fan of someone and regard any attempt at a cover version as sacrilege. But I prefer to try and be open-minded about it. I’ll willingly admit to being a fan of the Pet Shop Boys. They have consistently put out fantastic records over the past three decades – and have often been at the cutting-edge of change, whether on vinyl or CD or in the visual aspects of being a pop star. But there’s a few great versions of their songs that have been recorded….including these two versions of Rent. The Triffids were from Australia. They formed in 1979 but were unheralded outside their native land for quite a few years. A handful of singles and EPs pre-dated their first LP in 1983. They soon moved to Europe, and throughout the 80s released critically lauded record after critically lauded record without ever gaining any commercial success. The band broke up in 1989 and the music industry was a sadder place. It got even sadder in 1999 when the band’s lead singer and creative force, David McComb, died just three years after undergoing a heart transplant. *since the original 2006 post, the boys have had the occasional get together again and while the music business is still a sad fucked-up place, Carter gigs do help make things seem better. We’ve all got our favourites….great songs that were only ever recorded as B-sides. This particular offering is more wasted than some. It was put on the reverse of a mix of a single at a time when record companies issued multi-formats in an effort to boost the chart placing. If you ever see a copy of Come Home (Extended Flood Mix) in a purple sleeve, you’ll find Fire Away as the b-side. It’s a pulsating effort that’s difficult note to dance to. I should also mention that the mp3 made available with this posting is one made earlier today and I’ve eliminated the skips and jumps from the previous recording (I’ve a better turntable than I had in 2006). It came from the single Lose Control in 1990 and I particularly love how Tim Booth throws in loads of Velvet Underground song titles as the tune reaches a crescendo. Fabulous. I thought I’d finish with something that wasn’t part of the posts back in 2006 and that’s the other track The Triffids recorded for the BBC Radio 1 session. And you can dance…..for inspiration.